In a city overrun by infectious vampires known as Strigoi, you are a band of humans struggling to survive in a world suddenly full of hostility and paranoia. On your last several scavenging missions, you've run into far-too-convenient patrols of Strigoi and you've lost a number of dear friends from your group. Is someone a saboteur, trying to get the rest of you killed so they have more loot for themselves? Or is there a collaborator, leaking information to the Strigoi for some unknown reason? Or is it something far worse? This will be a vanilla-ish game, scheduled to start Wednesday (9/27) night at 10pm Eastern (this will also be the EOD). The end-of-day format will be the same auto-extending day setup I used in my previous game, with some minor tweaks. Last edited by Okaros on 20 Sep 2017, 12:48:16, edited 1 time in total. Please state the nature of the medical emergincy. Ahem... Emgerincy. Gods damn it - who re-wrote my dictionary? Well what do you expect me to do? You realize that code is garbage, right? An Okaros game? A 7z7 RP as the Doctor? How can I resist. For those unfamiliar with the show/novels, I'm just using it as light window dressing for the theme. -) The key concept to know is that Strigoi are vampires. They spread their infections via their bite or via contact with their bodily fluids. If left alive, the infected slowly turn into vampires over the course of several hours. -) The vampires share a hive mind of sorts. Some vampires are able to pretend to be human, even going so far as to pretend to be their non-vampire selves (i.e. their retain their memories), while others are merely feral monsters. -) The vampire plague has spread throughout the U.S. and it's turned into a sort of mid-apocalypse/post-apocalypse society. State and Federal government has ceased to exist and it's basically survival of the strongest. Okaros wrote: They spread their infections via their bite or via contact with their bodily fluids. If left alive, the infected slowly turn into vampires over the course of several hours. So if we follow basic medical protocol, or, dare I say, a modicum of common sense, this is a non-issue, right? We can't get a lock captain, biofilters show potential contagion. Doctor? You're needed on the bridge. Excellent, that brings us to ten. I have plans to handle that (less than ten I was still scratching my head for plans on how to deal with, but I'm sure I would've figured out something). Also, I will note: Despite the obvious thematic nature of infectious vampires, this is NOT a conversion game. Might not be starting right at 10pm Eastern as my work day ran signifcantly longer than planned, but it shouldn't be too much of a delay if so. Okaros wrote: Despite the obvious thematic nature of infectious vampires, this is NOT a conversion game. Okaros, you're ruining all of my fun. 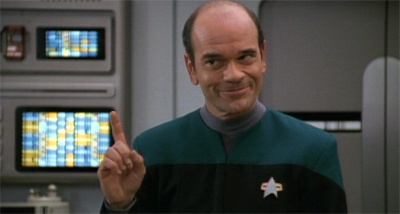 I mean, I had this whole sub rp going here, where we disable the Doctor's ethical subroutines in the name of getting medical results faster with typical Starfleet best intentions. Signups are now closed. Day 1 has begun. You should have received a PM indicating your role. You should also have access to the game forum. Please let me know VIA PM if something seems wrong. Keep me in quarantine for a couple of days in case you need a replacement, but after that, go ahead and pop me out of the airlock and into the dead thread, if ya please. DastardlyOldMan wrote: Keep me in quarantine for a couple of days in case you need a replacement, but after that, go ahead and pop me out of the airlock and into the dead thread, if ya please. How about I put you in a shipping container instead?